Hair that is thin, limp, falling out, has split ends or is extremely dry or excessively oily is not healthy hair. Hormonal factors, stress and environmental impacts like chlorine, air conditioning and sun exposure can also influence the health of your hair. But hair that is frizzy and unmanageable can be tamed in between your salon visits with a little at-home TLC. Here are some expert tips on how to keep hair healthy and strong. When you are looking at how to keep your hair healthy, it’s important that you choose the right products. Keep hair de-frizzed by using oil-based serums and choose reinforcing styling products that promote smoothness and shine. You should also avoid products that contain alcohol that can dry out hair and limit shampooing to every other day to ensure your hair’s natural oils can do their job properly! Bear in mind as well that you can also overuse products on your hair and excessive usage over time can cause hair to be damaged and weak. Compensating with more products can weigh it down even further and make hair look rough and dull. The ongoing use of strong chemicals via bleaching, colouring or straightening can damage hair fibres and ultimately make hair weak. These chemicals can also cause permanent damage, make hair dry and frizzy, and cause split ends and breakage if they are used too frequently or in too strong a dosage. If you must undergo one or more of these treatments but still want to know how to have healthy hair, ask your stylist to choose conditioner-rich and ammonia-free professional formulas. You can also counteract them with some intensive hair therapy at home. Deep conditioning protein treatments can be applied once a weak all over the hair starting at the roots and worked through to the ends. You can enhance your conditioning even further by putting on a shower cap or wrapping a hot towel around your head to allow the treatment to penetrate even more deeply into your hair shafts. Better still, leave it on overnight! Simply wrap hair in a bun and sleep with a towel on your pillow! One of the most important healthy hair tips is to try and avoid the excessive heat caused by blow dryers and hair straighteners. A too-hot blow dryer on wet hair heats the water under the hair cuticle causing it to expand inside the hair. This leaves spaces inside your hair fibres, which can weaken hair. These dry strands can also soak up moisture from the air, which can also then cause frizz. Turn down the heat on your appliances as much as you can and apply a heat protector spray or strengthening product that will shield your hair from excess heat. Then follow up with a finishing product that’s infused with protective oils. Curly haired girls should also use a diffuser to gently dry hair and encourage beautifully bouncy curls. Rather than fighting your natural texture, try and also work with your hair’s own qualities. 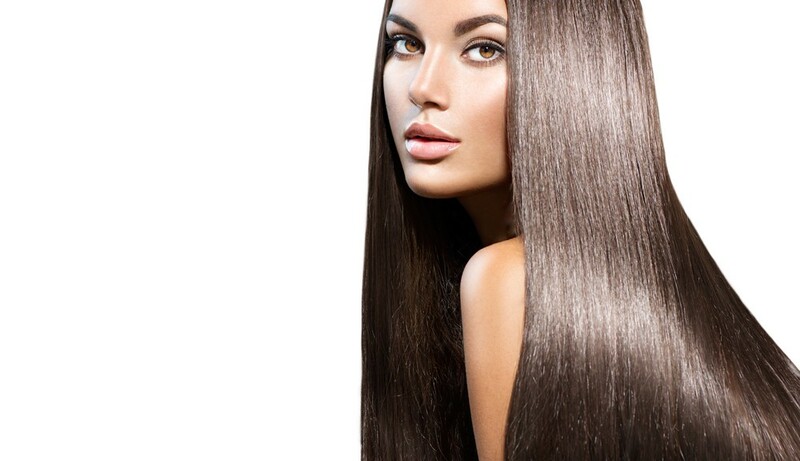 If you have straight hair use cleansing and conditioning products specifically designed to create shine. If you have curly hair try products suited to wavy textures and scrunch your hair with your fingers to reduce frizz instead of attacking it with a brush! Another tip for keeping hair healthy is to consider using natural remedies. They’re as close as the pantry away! Avocado keeps hair plump and supple because their amino acids and natural oils coat your hair shafts helping them to retain moisture. Avocados are also rich in antioxidants and they contain vitamins like A, D, E and B6 that nourish your scalp and hair. Honey is a great friend to hair and because it’s an emollient will help seal moisture in your hair and keep it conditioned. It also strengthens hair follicles, stimulates re-growth and if diluted in warm water, works as an effective dandruff treatment and can help clear up itchiness and flakiness. Apple cider vinegar can prevent split ends and breakage, encourage hair growth and reduce product build-up, which can leave hair looking flat, dull and lifeless. Using apple cider vinegar as a natural hair treatment can also define curls, add gloss and shine, and it’s also a great de-frizzer and detangler. Another pantry staple, olive oil can help to replenish oils that are missing in damaged and dry hair. Avocado oil is a great source of Vitamin E and B (and therefore great as a leave-in conditioner), and it also provides wonderful shine. They say that you are what you eat, so if you’re wondering how to keep hair healthy, it pays to start by looking at your diet. Diet can have a profound effect on the health of both your scalp and your hair. A diet rich in protein builds strong keratin, which is the protein that strengthens hair, stimulates growth and improves texture. Include egg whites, fish, lean meats, spinach, soy and low-fat cheeses in your diet and in between meals snack on grains, fruits and vegetables. Healthy fats like Omega 3 are important as is iron and zinc and vitamins like Vitamin C that keeps the blood vessels in your scalp healthy by supporting your hair follicles. Biotin, an essential B vitamin, improves texture and strengthens weak hair and is found in carrots, salmon, sardines and egg yolks and sardines. Silica, a nutrient found in rice, oats, asparagus, cabbage and cucumbers supports the growth of hair as does calcium, which is found in fish, leafy greens and dairy products. And then there’s water of course! Water is another essential for healthy hair as adequate hydration keeps your body functioning well and helps strengthen weak hair. Keeping hair healthy is not just about the products you use or the foods you eat, it’s also about how you wear your hair every day. Tight plaits and ponytails can stress hair and cause weakening, and wearing your hair down every day can also result in split ends and tangles. Try switching styles regularly! Finally, to keep your hair in tip-top condition, see your hair stylist regularly. A great cut can do wonders for ‘tired’ hair – even a trim can make a big difference. And remember that it’s impossible to repair split ends – they need to be cut off, so schedule in an appointment at least every six to eight weeks! Getting regular trims can help keep your hair healthy and strong. Contact us now on (07) 3844 4766 or book your appointment online!